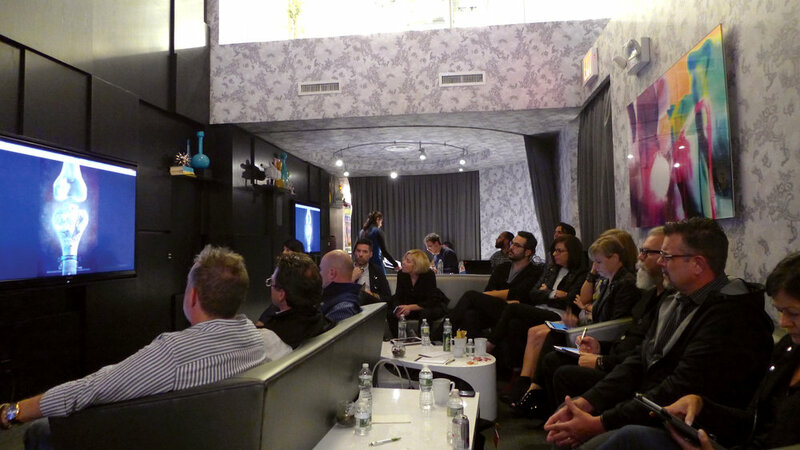 The final round of judging for the Global Awards took place in New York City in mid-October, with a host of creative leaders from around the world. This group of executive creative leaders was selected to help elevate creativity while recognizing the very best ideas in the healthcare advertising industry. At last year’s Global Awards event, Co-Chair Robin Shapiro spoke about trends in our industry. One trend is that premiere healthcare advertising awards shows have split juries. It was time for the Global Awards to follow suit. The health and wellness jury and pharma (Rx) jury were launched at this year’s judging session, a recognition of the need for work to be critiqued based on the kind of work it is so that it can be evaluated fairly. This simple notion changed the dynamic of the day and the caliber of the discussion. What unfolded wasn’t all that surprising—the day ran more smoothly and deliberation around each body of work was more effective. It allowed each jury to hyper-focus, within its respective category, on what “great” is. The pharma jurors had a healthy discussion, noting that while there was a decent amount of good work in pharma with 60 shortlists to debate—a vast improvement from previous years—there is still work to be done. We collectively agreed that pharma entries continue to be an opportunity for growth in our industry. With 94 shortlists, the health and wellness jurors had a greater breadth and depth of ideas to discuss and agreed that this continues to be an area where the work gets to great. In the jury room, we saw that sitting on a specific jury allowed us to hyper-focus and, in turn, identify gaps in each category and have a broader discussion as industry leaders about what we need to do to fill those gaps. After each jury met to review all of their finalists and designate those that were “Global” worthy, the two juries came together as one to discuss which ideas rose to the top. Before the final day of judging, the Global Awards team and the Chairs decided that the power of inclusion in this discussion would ensure that all creative leaders saw all of the top work and had a seat at the table with the ability to communicate their respective points of view about what ideas excelled and why. That way, all of the leaders were equally invested in the outcome and could truly rally behind it.